Not Mobile? Now You Can Get Chimani from Your Desktop, Too! Daydreaming of a National Parks getaway at your desk but can’t get on your mobile device? Keep the dream alive: we’ve now put all of the great park information from our award-winning mobile apps online, so you can plan your trip or virtually experience your favorite park while surfing the Internet. Just visit the Chimani.com website, find your favorite park under the Parks menu, and click on the Park Navigator link. 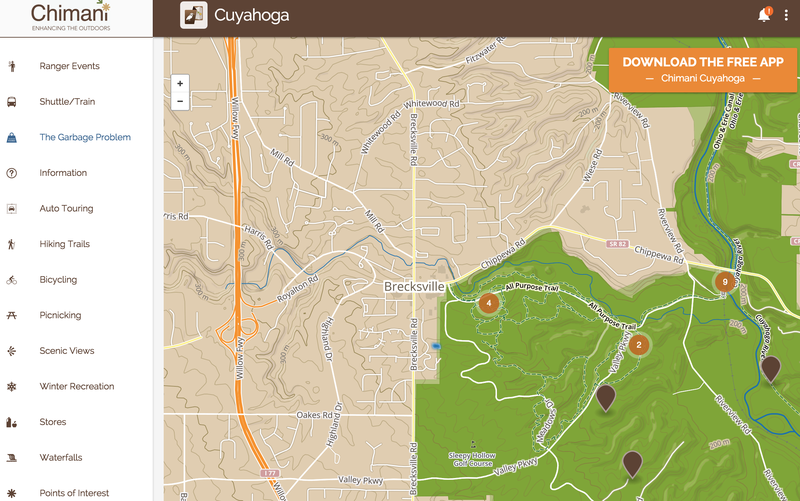 There you’ll find a nifty interactive park map seeded with points of interest and information on major attractions, plus extensive information on activities like hiking, biking, transportation, lodging, dining, and more. Of course, we’ve also added an easy link to download each of our 19 (and counting) free mobile apps on the National Parks, so you’ll be ready to roll with your iPhone or Android device when you do push back your chair and get outside to explore!